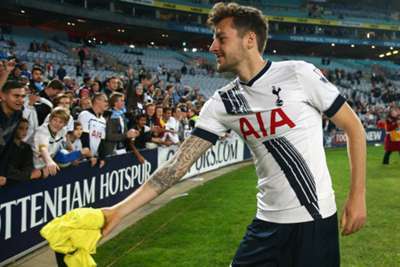 Former Tottenham coach Les Ferdinand was saddened by the news of Ryan Mason's retirement from football. Hull City midfielder Mason suffered a fractured skull in an FA Cup match against Chelsea last January and confirmed on Tuesday that he has been advised by specialists not to return to playing. 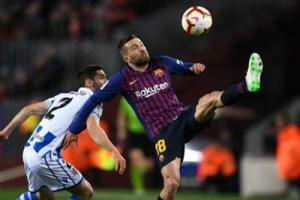 The 26-year-old, who said he felt "lucky to be alive" after the incident, had hoped to resume his career but said in a statement he was left with no option but to retire "due to the risks involved given the nature of my injury". Former England and Spurs striker Ferdinand, who was a coach at White Hart Lane for six years before becoming QPR director of football in 2014, felt Mason had the potential to become an excellent player. "It's a real disappointment for him. He was a talented boy," Ferdinand, speaking ahead of the London Football Awards, told Omnisport. "When we were at Spurs, we thought he was the one that was really going to scoot on and be everything we thought he had the ability to be. "It just goes to show, you find yourself fortunate in this game because sometimes you can have a career... I retired when I was nearly 40 and then there are some people that have injuries in their early 20s and are never able to play again. "I'm really sad for him, it's disappointing news, disappointing for me to find out that he had to retire. It was a horrible clash but I thought he would come back from it. That's sad news because you hate to hear of someone retiring early from football." Ferdinand was speaking after the QPR in the Community Trust was nominated for the LFA's Community Project of the Year award, after their work to host the 'Game4Grenfell' match in support of those affected by the Grenfell Tower fire last June.